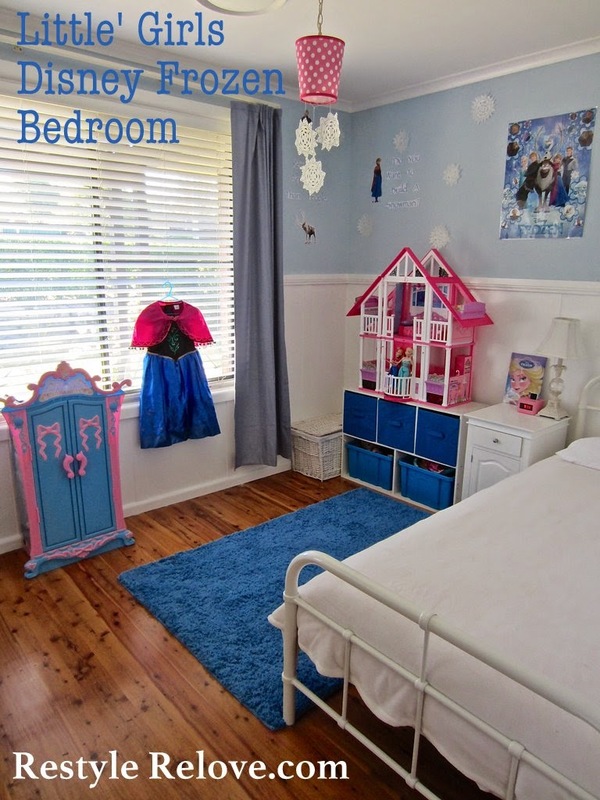 My daughter's Frozen bedroom restyle is complete. I recently made the pink and white bed canopy which you can see here. Her new bed finally arrived and we both love it. I added her name in white wooden letters to the bedhead. The Frozen quilt cover was a birthday present. And so were the cute Ana and Elsa plush dolls. Her Frozen costumes are kept in her Disney Princess wardrobe. The murals on either side of her bed are scene setters from her birthday party. And I almost forgot. I repainted her walls from blue to Dulux Natural White to match the rest of the house. And replaced her blue curtains with pink ones. My little Frozen fan is very happy with her new look room, and so am I. This is super sweet. How adorable. 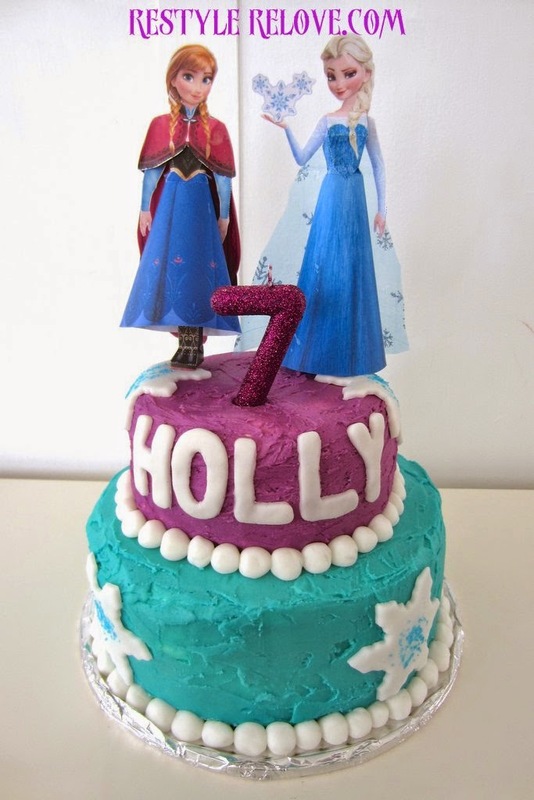 I bet Holly loves her re do of her room. Really cute.